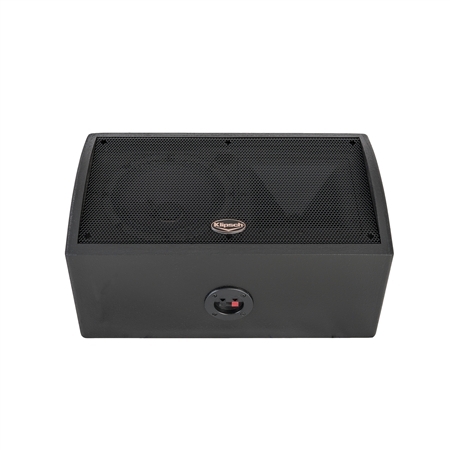 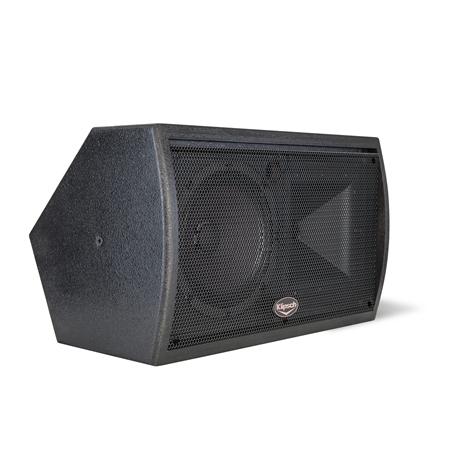 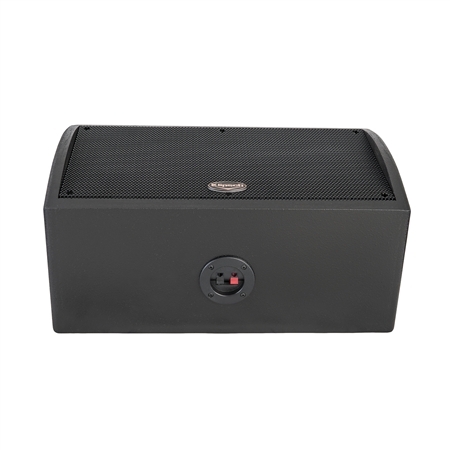 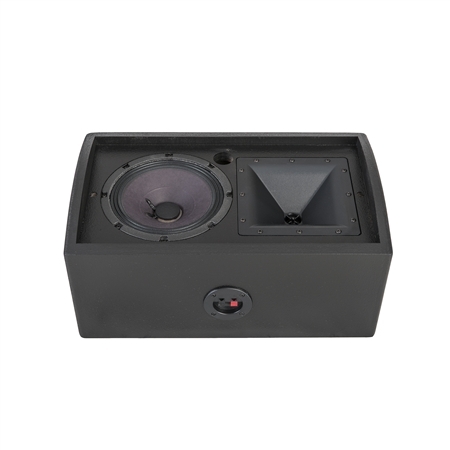 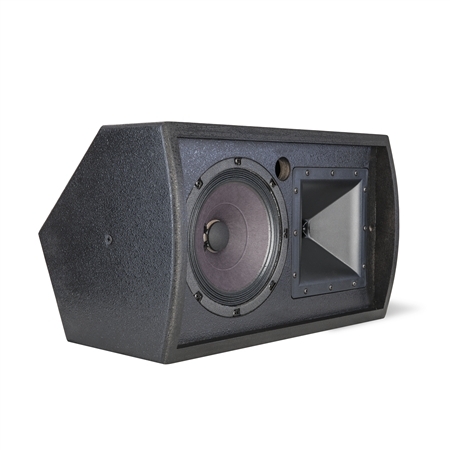 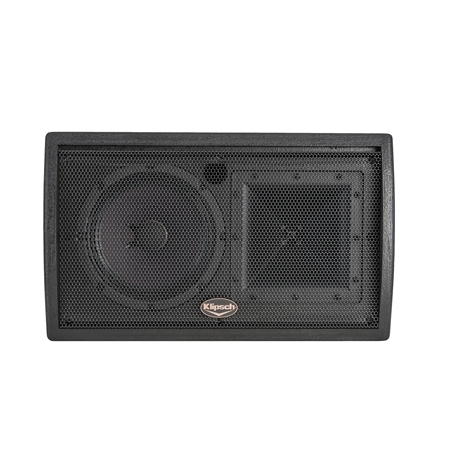 The KI-172 is a compact, two-way, high performance loudspeaker with sides slanted at 65° and 45°. 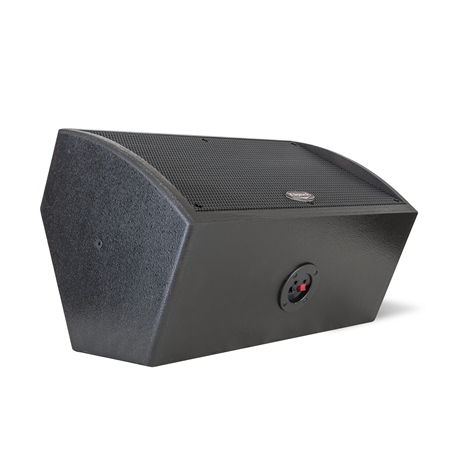 Designed to be installed where placement at an angle is required and space is limited, the KI-172 is perfect for wall, ceiling or under-balcony mounting in theaters, churches, schools and clubs, or for slanted floor or shelf monitor use near altars and podiums, or in board and meeting rooms. 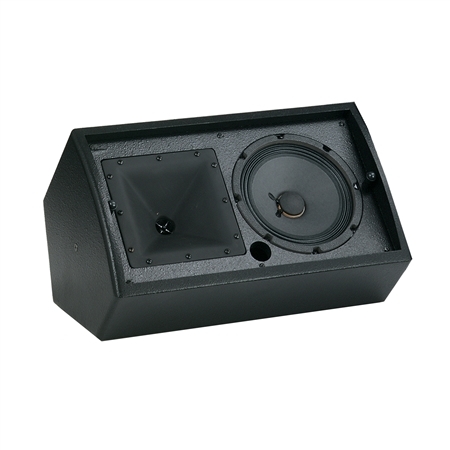 The 3/4" furniture grade plywood enclosure uses dado “lock-joint” and rabbet construction on CNC-fabricated panels to ensure resonance-free response and long-term reliability. 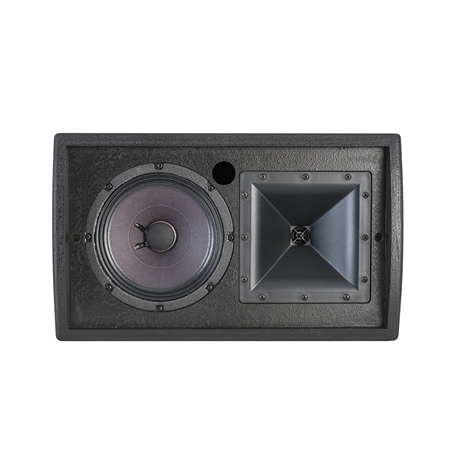 The internal high-current passive crossover features the proprietary high-power thermal overload KLIP-circuit, which limits potential damage to the high-frequency driver. 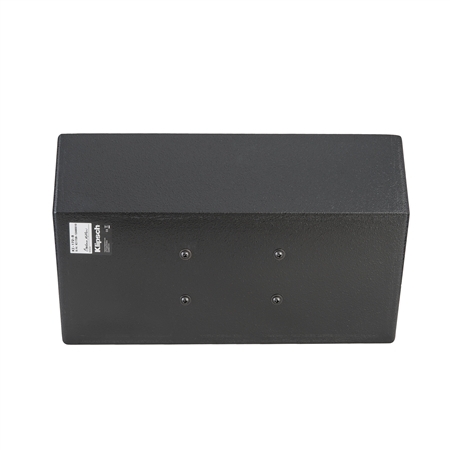 Standard five-way binding posts provide connections from full-range signal sources up to 100 watts.